The Irkutsk Region's Health Ministry said that medical examination confirmed that 74 out of 77 people that had consumed a bath essence containing alcohol in Russia's Siberian city of Irkutsk died as a result of methanol poisoning. 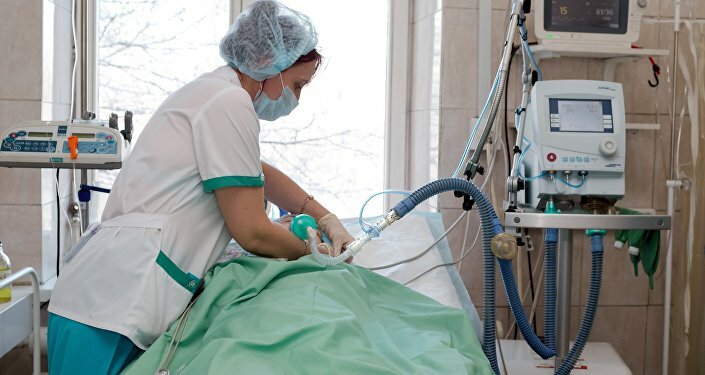 IRKUTSK (Sputnik) — Medical examination confirmed that 74 out of 77 people that had consumed a bath essence containing alcohol in Russia's Siberian city of Irkutsk died as a result of methanol poisoning, the Irkutsk Region's Health Ministry said. “The bodies of all 77 [people] … have been investigated. 74 of them died of methanol, the rest were affected by the large doses of ethyl alcohol,” Irkutsk Health Ministry’s spokeswoman Tatyana Shkurskaya told RIA Novosti. A mass poisoning by an alcohol-containing liquid Boyaryshnik (Hawthorn) started in Irkutsk on December 17. Investigators opened a criminal case on manufacture, storage and sale of a product, not meeting the safety requirements that resulted in death of two or more persons. Authorities have already made 11 arrests in connection with the wholesale and retail sales of the dangerous methylated spirits. Methanol is one of the most widely-used industrial chemicals that can be applied to production of plastics, furniture, automotive parts and fuel blending.